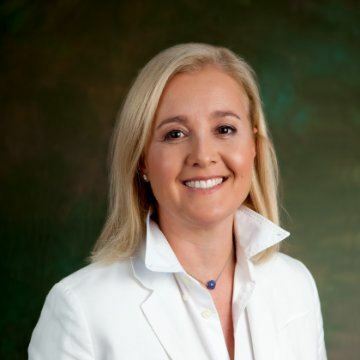 Ourania Ekaterinari, is Deputy CEO of Public Power Corporation S.A., the leading Greek electricity utility and one of the largest industrial groups in Greece. 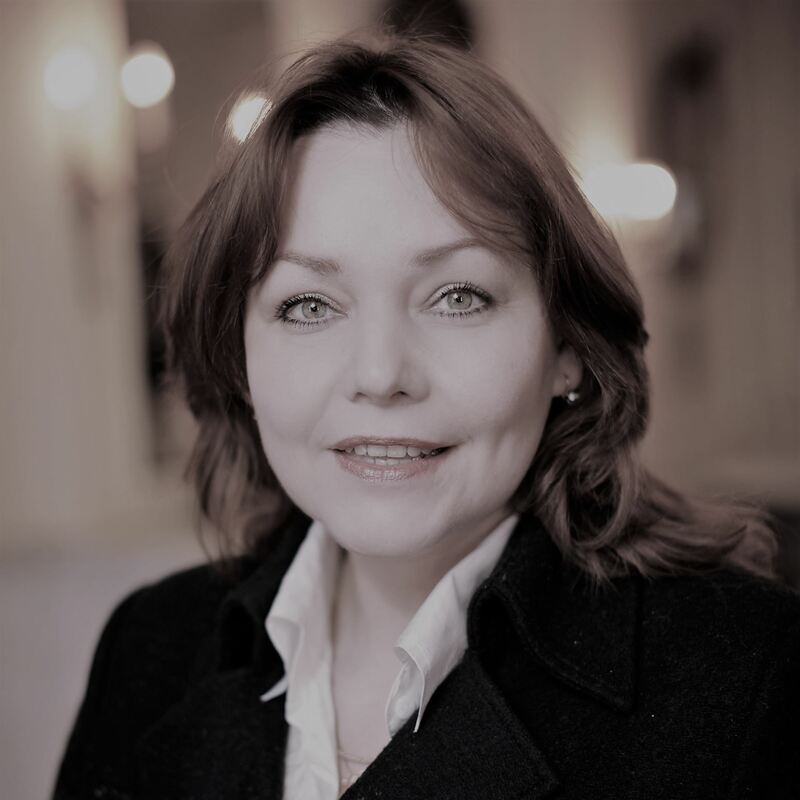 Ourania is also a member of the Supervisory Board of the Independent Power Transmission Operator and has 10 year experience in corporate & investment banking. She is the first Greek woman to be announced member of the global Rising Talents Network of the Women’s Forum for the Economy and the Society in 2010. WIL Europe: You have considerable experience working in the energy sector. What made you decide to work in this field? Ourania Ekaterinari (OE): I worked for several years in corporate & investment banking, focusing on the energy sector, due to my electrical engineering academic background. This was very valuable for stepping into the industry, having gained considerable experience in terms of energy projects financing, in assessing investments and in risk management. Experience in advisory and M&A work was also very helpful. Particularly at times of great uncertainty, the ability to combine technical knowledge with actual understanding of markets and the view of different stakeholders (including shareholders, creditors, regulatory /supervisory bodies, equity analysts, rating agencies, etc. ), is crucial. WIL: Considering the current state of the European economy, the emergence of powerful economic actors in the developing world and the continuing issue of climate change and sustainability, where do you see the future of the energy sector? OE: Because of the increasing requirement for competitiveness in European regions, which is directly linked to the cost of energy, a critical discussion is taking place concerning the medium to long term European Energy policy. Up until recently, the EU energy landscape was characterised by rising consumption, dependency on imported fuels and intense environmental debates, resulting to certain actions for renewables penetration and reduction of carbon footprint. Following the economic slowdown, a Low Cost Energy Strategy has started to emerge, which aims to address ‘from scratch’ all critical parameters of energy planning towards achieving competitive, sustainable and clean energy sources. Climate change issues remain very important, but many policies have to be re-assessed together with the funding issue and cost of capital. Take for example the renewables sector: apart from re-assessing the level and type of subsidies for each renewable source, we also need to assess in parallel all the other necessary supportive long term investments i.e. in network infrastructure, flexible power plants for the provision of ancillary services, electricity storage investments etc. We are talking about a new power system model, that everything is interrelated in terms of operation and should be combined towards calculating the ‘’all-in’’ cost. Risk – reward appetite of all active players also needs to be taken into account. I am afraid that the ‘’happy medium’’ between the three basic concerns of ‘security of supply’, ‘low cost’ and ‘low environmental impact’ still needs to be found. WIL: In 2012 the European Commission issued the Energy Efficiency Directive, which changed the established premise from “consuming energy” to “saving energy”. How has this change affected the sector? OE: Well, there are two ways to look at the problem of energy sustainability: from the generation side - through achieving the right ‘energy mix’ at a sustainable cost – but also from the consumption side. Demand management and requirement for energy efficiency measures is gaining momentum and it is crucial for consumers, industries and the environment. That’s why the Energy Efficiency Directive is so important; because we desperately need a framework to become more active on the demand side: starting from the consumer who is trying to change daily consumption patterns (especially if there are associated benefits on tariffs), to energy efficiency initiatives in the building sector where there is tremendous potential, to energy efficiency investments in the industry. Energy companies can also introduce such measures, starting from power plants & network upgrades to promotion of smart metering. Energy saving is win-win and for that, Europe needs to introduce specific targets and timelines, while providing sufficient tools to support financing (ie mobilisation of regional funds, public – private partnerships, support from European organisations like EIB, etc). Obviously, the energy companies need to support it as well: though it may lead to ‘’less energy sales’’, energy efficiency also means less capex requirements and more efficient use of the available capital for new infrastructure. WIL: How can innovation in the energy sector increase economic competitiveness and social cohesion? OE: Innovation by itself has the meaning of better utilisation of resources & cost optimisation, while improving quality of products & services. In this respect, consumers enjoy a better product at a lower cost while less natural resources are ‘spent’ for the benefit of the environment. This is also good for consumers, companies and the economy overall, thus contributes to social cohesion. However, I can’t see at the moment a major technological breakthrough which in the short to medium term can change the landscape to this direction. There are many things ongoing, starting from renewable technologies, smart metering, electric cars potentially, but it will take time, while funding remains crucial for research and/or commercialisation of respective technologies in large scale. WIL: In the energy debate, what should have priority over the other: economic or environmental concerns? OE: It depends when exactly you look at it: At times of economic growth, there is increased environmental awareness. At times of economic slowdown or even worse, within a recessionary environment, ‘’affordable’’ energy becomes the main concern. Electricity bills do have a direct impact on households and today in ‘’troubled’’ economies, increasing energy poverty is being witnessed and this can no longer be neglected. Take Greece as an example: cost of energy is increasing not only because of commodity prices but also because of increased taxes on fuels & energy, increased green levies and additional CO2 related costs while less & less consumers, at such high levels of unemployment, are able to pay their energy bills. Introduction of social tariffs to protect social cohesion becomes important, together with other potential measures that have to be examined at a European level, besides any actions that may be taken at a national level. Obviously, the question of concern is not which of the two should have priority, but how we can balance the two in an optimum way at good but also at bad times. WIL: How important are ecological initiatives for company’s marketing strategies and market success? OE: Environmental initiatives and investments, reducing the carbon footprint of energy companies are important and should be part of a company’s strategic planning. The energy companies need to demonstrate the necessary awareness and action plan in order to safeguard energy and environmental sustainability. Thus ecological initiatives are directly linked and must remain linked to long term market success. Environmental investments represent a major part of my Company’s, PPC, strategy and objectives, despite the current difficult economic environment. WIL: How has business changed due to environmental aspirations? OE: The electricity sector has changed substantially due to the relatively high penetration of renewables. Renewable energy, and especially wind parks and photovoltaic cells, have changed the way the energy market functions: they have contributed to the current decreasing need for peak capacity, which led to decreasing wholesale prices, but at the same time (because of their intermittent and stochastic characteristics), they have increased the need for electricity storage, provision of ancillary services, flexible back-up capacity, fast demand response, enhanced power grids etc. In my opinion an important next step in terms of energy technology will be smart metering and the ability for consumers to monitor their energy consumption and respective energy bills regularly ‘at their finger tips’. Emanuela Palazzani, is the CEO and Strategic Planner of T-Immobil, a real estate business, and has received many prestigious awards for her commitment towards the advancement of women in leadership positions. She is also the coordinator of the new WIL Italy chapter. WIL Europe: You have received several awards for your contributions to the advancement of women. According to you, why is it important to invest in this issue? Emanuela Palazzani (EP): One of the most common aspects of leadership is the need for pursuit. Great women are never satisfied with traditional practices, static thinking, conventional wisdom, or mediocre performance. Investing in this issue means underscoring that women who want to advance are simply uncomfortable with anything that embraces the status quo. This attitude of stagnation is what we need to change. WIL: Talking about Women in Leadership: what is your personal checklist for innovative and inspiring leadership? A) Articulate a Vision. Formulate a clear and persuasive vision and communicate it convincingly. B) Think and act strategically. Set forth a pragmatic strategy for achieving that vision, both short– and long-term, and ensure that it is widely understood. Consider all the players and anticipate reactions and resistance before they manifest. C) Honor the room. Frequently express your confidence in and support for those who work with and for you. D) Take charge. Embrace a tendency to take action, to take responsibility even if it is not formally delegated, particularly if you are well positioned to make a difference. WIL: How could an Emerging Leader increase her influence? EP: In order to be an effective influencer, one needs both substance and style. Without a solid foundation of credibility, even the most interpersonally adept leaders will fall short. WIL: During the most recent WIL Biannual Meeting in Rome, the WIL Italy chapter was launched . Could you tell us more about this project? EP: Thanks to the WIL President’s and the board members’ vision, WIL Italy is now a reality. Our project is to create a network of high profile candidates in Italy who can be selected as new WIL Europe members. Moreover, we shall provide support in organizing WIL Europe events, seminars and initiatives in Italy. By participating as speakers or moderators at conferences, we shall also increase WIL Europe’s visibility. WIL: Will WIL Italy also act as a networking opportunity for excellent Italian women living in other European countries? EP: Yes, we will also establish contacts and organize events to present successful Italian women living in other countries. They are valuable role models that we are proud of, and the time is right to establish strong partnership with them. WIL: The Italian government has recently appointed seven women as ministers, a first in Italian politics. What do you think could this signal to the Italian people and, above all, to Italian women? EP: By announcing this new team, the Prime Minister established the importance of the combination of passion with pragmatism, and that power must be exercised responsibly. 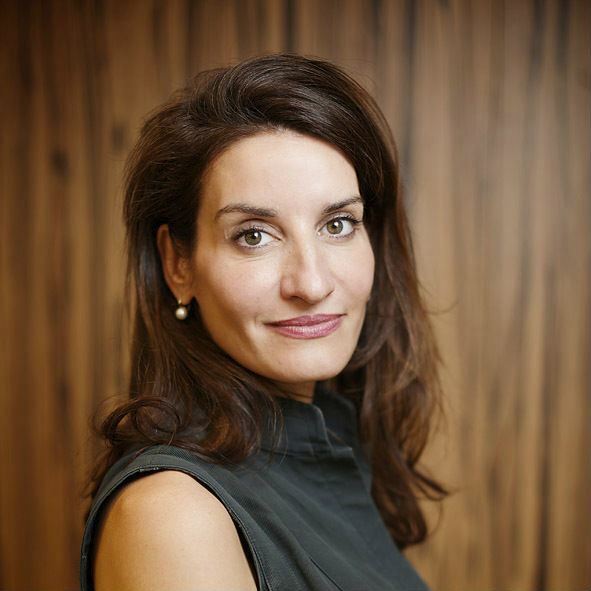 WIL board member Isabella de Michelis di Slonghello is Vice President of Public Policy and Government Affairs at Qualcomm EMEA. In this role, she leads the public affairs and regulatory agenda for the US giant semiconductor company in Europe, the Middle East and North Africa, including EU Affairs in Brussels. WIL Europe: Originally from Italy, you are now based in Switzerland, where you lead the public affairs and regulatory agenda in EMEA countries, including EU affairs in Brussels, for a global US company. How do you integrate this international dimension into your daily work? What factors and qualities do you regard as crucial for success in a multicultural corporate environment? Isabella de Michelis di Slonghello (IMS): It’s a constant challenge which I take on every day since I started back in 1990. Without a bit of humor, combined with meticulous planning and third party help, it would never work. Currently I’m an expat in Zurich, but I have also been based in Brussels and Rome for different companies. Fluency in foreign languages and experience with multiple corporate cultures are important success factors, which allow you to constantly improve your adaptability, but it’s a never-ending process. I worked for large European and US companies with global offices and a very diverse workforce. Each one had its own management culture, gender culture and career development culture. You need to familiarize yourself with these alternatives to be able to extract the best from each. In doing so, you will develop your own approach to management and enrich your experience through diversity. Developing strong analytical and communication skills is also an important factor for success. When you move up the career ladder and more people depend on your decisions, you need to be able to base these decisions on good analysis. You have to make sure to communicate well internally and externally to have your vision endorsed and not merely executed. I always stress the importance of knowing how to communicate and I have put extra effort into that, because I consider it an important leadership factor. Ultimately, the key is to passionately love what you do and dedicate a lot of your time and energy to putting it into action. Driving change, inspiring change – these are values I would like to pass on to others. WIL: What are currently the main challenges for large technology companies in their dialogue with the European Union? IMS: The single market, as defined by the treaties and the European Directives, is still in its infancy. We have made progress in Europe over the last decades, but the barriers to market access are still significant, especially the legal and regulatory ones. This constitutes a challenge, especially for technology companies seeking to scale their strategies and their products’ commercialization. US companies have understood that in order to be successful in Europe, they need to work in and with the Member States. I see a lot of companies initially finding it difficult to accept these circumstances, but this is the only way to operate successfully in Europe. WIL: In your opinion, what directions will the EU follow in shaping its data protection and privacy policies? IMS: This is a very controversial policy field, with important ramifications for other policies that the Union is considering, including consumer policy and competition policy. Our connected society is calling for new rules, but we need a proportionate approach as to who should comply with these new rules. Finding the right balance is not easy, as the value chain is a lot more complex than 15 years ago, when mass internet access started to kick off but was incommensurable with today. Taking into account that internet data is like a giant goldmine (yet to be explored and exploited), the new rules will have to be designed in a way that preserves horizontal policy goals and objectives, e.g. competition policy and consumers’ interests, while also preserving the neutrality of the net and its openness towards new business models. We are not there yet. WIL: You have worked in the telecom and technology sector for more than twenty years, for companies such as Cisco Systems and Telecom Italia. From the perspective of a woman executive, how would you describe the dynamics of women’s presence in this area? IMS: Unfortunately I would describe it as sporadic. Women are still a minority in tech companies, and executive positions are usually difficult for women to attain and to maintain. The pressure on private life is enormous, especially if your job responsibilities require covering multiple jurisdictions over multiple time-zones, and you are called upon to frequently travel internationally and to work late and over the weekends and holidays. Tech companies are fast-moving players in a highly competitive global market. They require managers that are capable of anticipating competitors’ moves and changes in external dynamics much faster than in other industrial sectors. Keeping up with such a rhythm can be very demanding. WIL: Within the European Network for Women in Leadership you are not only a board member, but also a Role Model, supporting emerging women leaders in shaping their careers. What advice would you give to young women who begin their careers in technology? IMS: My warmest advice is to keep being persistent. Find your own way and look for something intellectually rewarding rather than career rewarding. Recognition will come at a later stage, but meanwhile you will have the advantage of not feeling frustrated or demotivated. Avoid depending on someone else for the development of your career. Avoid staying in the same company too long, unless you change roles and titles, in order to gain a broader experience. If offered, accept foreign and new assignments. Don’t be afraid to challenge internal decisions/projects/processes/policies if you find them to be non-constructive. Never give up on a good idea. And finally, when you are the one hiring, always hire the best and don’t be afraid to hire excellent people – even those more skilled than you are. Your team and the company will ultimately benefit from that. WIL: You are a member of three different networks: WIL, the European Women’s Competition Network and the Alumni Association of IUHEI – “Graduate Institute of International Studies”. What are the advantages of belonging to multiple networks, and how do you manage your involvement to make the most of it? IMS: Networking is important and constitutes a serious engagement if you want to do it right. It’s also about passion and the desire to share with others your ideas, thoughts and experiences. You never expect others to be interested, until you realize they actually are. By making yourself available, you learn, develop ideas, and mature new projects. Human interaction is one area we should not forget to continue developing, especially in a world where virtual life and experiences are gaining traction over real life. I’m not a big fan of social networking, but I certainly believe in professional networking. 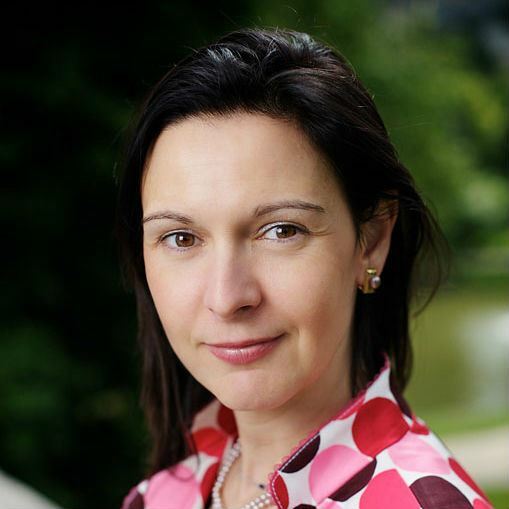 WIL member Viktorija Šmatko-Abaza joined the European Commission's Directorate General for Employment, Social Affairs and Equal Opportunities in March 2007 as Director responsible for audit, controls and evaluation. She is now the Directorate’s Principal Adviser. European Network for Women in Leadership (WIL): You grew up in Lithuania while it was still part of the Soviet Union. How is Lithuania doing today in comparison to the rest of European? What was it like for you during the transition period and how did it impact your career? Viktorija Šmatko-Abaza (VSA): Lithuania turned 1000 years old in 2009. In this millennium, my motherland has experienced times of glory and fame, and the centuries of occupation and disparity. My upbringing, education, career development, social and family life are related to Lithuania, its past, present and future. On 11th March 1990, the year before the break-up of the Soviet Union, Lithuania became the first Soviet republic to declare independence. In 2004-2007, Lithuania became a part of the European Union (EU) and the Schengen area. Over the last 23 years, the Republic of Lithuania’s overall transition to greater economic freedom has been facilitated by structural reforms, an efficient regulatory system, fiscal and business freedom, competitive taxation - all contributing to a vibrant economy. Today, Lithuania is part of the common EU market, ensuring unrestricted movement of goods, services, capital, and dividends within the EU. Lithuania is ranked 36th in the world based on nine different criteria: the cost of living, culture and leisure, economy, environment, freedom, health, infrastructure, safety, risk, and climate. Vilnius is acknowledged as the capital city breathing Europe’s cleanest air and the greenest among the new EU members. Our people are among the most multilingual and most educated in the EU, as Lithuania has the highest share of the EU population aged 25 — 64 that has completed at least upper secondary education - that's 92 percent! Lithuania possesses world leading information and communication technology (ICT) resources and infrastructure, registering the world’s fastest internet download speed and the world’s second fastest internet upload speed, Europe’s No. 1 fiber to the home (FTTH) optic communication penetration, highest fiber optic density, and Europe’s densest network of public Internet access points (875) in 2011. WIL: On 17th May 2009, Dalia Grybauskaite was elected the first female Lithuanian president. How do you think that women in political leadership positions can inspire other women as role models? VSA: That's an excellent question! Actually, my role model is Dalia Grybauskaite. When it comes to motivating young women and men, she leads by example. She is a role model for the success of the individual who works hard, who is an outstanding professional, wise politician, intelligent manager, and a beautiful and kind woman. Her attitudes, ambitions, achievements have a powerful and inspirational effect on women leaders everywhere, and make a compelling case for enforcing female quotas on corporate boards and in politics. As of today, 11 European countries – Belgium, France, Italy, the Netherlands, Spain, Portugal, Denmark, Finland, Greece, Austria and Slovenia – have introduced legal instruments to promote gender quality on company boards. Lithuania is on its way as well. 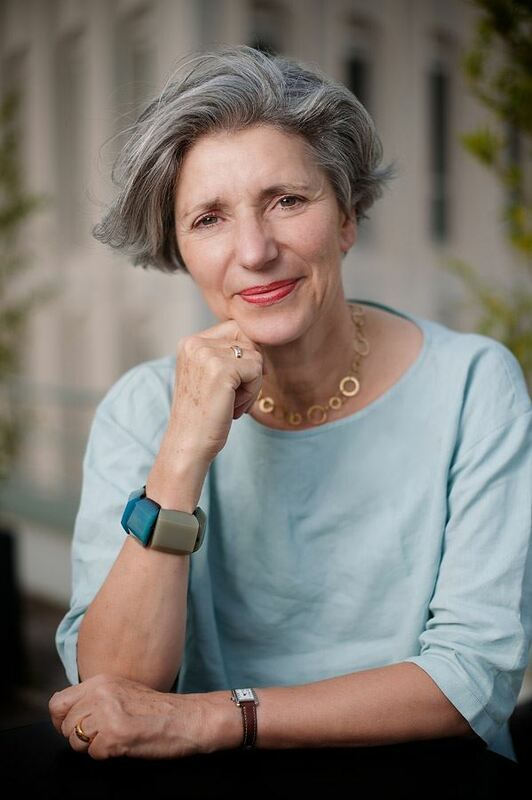 WIL: As a Director of the European Social Fund (ESF) at the DG for Employment, Social Affairs and Equal Opportunities of the European Commission (DG EMPL) you have been responsible for the allocation of resources to projects and policies in the field of employment and social inclusion, such as the integration of women into the labor market. Does the funding of these projects correspond to the priorities among the different EU Member States or do they also function as incentives? More importantly, how successful are they? VSA: For over 50 years, the European Social Fund (ESF) has made important contributions to improving the situation of women in the labor market, social protection and social inclusion. In the ESF programming for 2007-2013, funding is focused on a) gender mainstreaming, which incorporates the gender dimension into all ESF priorities; and b) specific actions aimed at getting women into work and sustaining them there. To achieve these objectives, the ESF is supporting projects in Member States: promoting women's employment - access to, and participation in, all levels of the labor market; promoting women entrepreneurs and women's participation in science and technology - in particular in decision-making positions; combating gender stereotypes in career selection and the professions and promoting lifelong learning; and, reconciling work and family life and offering support for childcare facilities and careers of dependents. To illustrate, I'd like to mention a number of successful projects: "Helping young mums overcome barriers to learning"; "‘Initiative’ is a female noun"; "Working for family welfare"; "Nurturing families, nurturing opportunities", "Creating chances for women, changing attitudes to women" and many other good projects in 27 EU Member States. WIL: Can you recommend any new tools or strategies to ensure the effective use of resources in international organizations and administrations? VSA: Good leadership and management are about providing direction to, and gaining commitment from staff and stakeholders, facilitating change and achieving better services through efficient, creative and responsible deployment of people and other resources. The use of internal temporary Task Forces to identify the main challenges, collect information, conduct an in-depth analysis and recommend improvements to one or several specific areas could lead to simplifying and increasing the efficiency and effectiveness of operations. For example, from June – October 2012, I chaired a Task Force on financial management and execution in DG EMPL. The Task Force sought an increase in the efficiency and rationalization of tasks, ranking priorities and identifying possible savings. We focused on: financial circuits; roles of financial agents; internal procedures, manuals and forms; procurement and grants procedures, processes and management; financial monitoring and reporting for centralized and joint management; analytical reporting/statistics by budget line; good COM practices. Our recommendations for changes and improvements and an estimate of resource savings, where relevant and possible, were presented to and approved by the Board and the Director General. Since November 2012, the implementation of our recommendations have already led to an increased efficiency of procurement and contracting supported by experienced financial professionals; have ensured business continuity and presence of institutional memory; have increased motivation of staff on board; and have decreased time and money investment when recruiting and retraining newcomers. Therefore, better leadership and management are the keys to ensure the effective use of resources and achieve measurable results in international organizations and administrations. WIL: Among your duties as Director at DG EMPL was the overview of the process of accreditation for EU candidate and pre-accession countries. What will be the consequences of the expansion of the EU to new Member States? VSA: The EU Enlargement Strategy provides for mutual benefits of deeper trade integration, a larger internal market, economies of scale and expanded investment and job opportunities. The two main objectives of financial Instrument for Pre-Accession Assistance (IPA) are to support the accession process and the socio-economic development of the beneficiaries. Strengthening the rule of law and democratic governance is central to the enlargement process. The key challenges for the new Member States would be putting the rule of law at the center of enlargement policy: judicial system, anti-corruption, fight against organized crime, public administration reform, fundamental rights, etc. Another main challenge is economic and social recovery. WIL: You also hold a certification in retirement plans. With Europe facing an ageing population/demography, what will be the consequences of that development? How does the Directorate for Employment, Social Affairs and Equal Opportunities support the inclusion of older people into the labor market? VSA: The European Union is facing unprecedented demographic changes (an ageing population, low birth rates, changing family structures and migration). In light of these challenges it is important, both at the EU and the national level, to review and adapt existing policies. On 20th February 2013, the European Commission presented a Communication on a Social Investment Package (SIP) that addresses five priorities, namely: 1) Increasing the sustainability and adequacy of budgets for social policies; 2) Pursuing activating and enabling policies and providing adequate livelihoods; 3) Intervening across the life course, starting with children and youth; 4) Innovating and reforming social policy based on evidence; and 5) Promoting a strong social investment approach within the EU funds allocation. The SIP is based on the thinking that we need to modernize the European social model so that it mobilizes a larger share of Europe's human capital and raises its productivity, while at the same time ensuring social inclusion of disadvantaged people and an adequate level of social protection. WIL: The European targets for 2020 also include the goal to have 75% of the EU population in employment. What are the biggest challenges for reaching this goal? VSA: The main challenge is youth unemployment in the EU. The youth unemployment rate is more than twice as high as the rate for adults (22.8 % versus 9.2 % in the third quarter of 2012) and has dramatically increased over the last four years. Certain groups of the young population (including women, young people with disabilities, and youth with migrant background) are particularly exposed to the risks of unemployment, long-term unemployment, early school leaving or inactivity. Young people are over-represented in temporary and part-time work. This can lead to segmented labor markets. In 2010 and 2011, high unemployment levels co-existed with increased difficulties in filling vacancies. However, between now and 2020, it is estimated that there will be 73 million job openings due to retirement of workers. These will need to be filled with appropriately qualified new staff, thus also creating new opportunities for young people. Another challenge is inequality between women and men. Getting more women into the labor market helps counterbalance the effects of a shrinking working-age population, thereby reducing the strain on public finances and social protection systems, widening the human capital base and raising competitiveness. Measures to facilitate work-life balance can have a positive impact on fertility. To reach the Europe 2020 objective of a 75% employment rate for women and men, particular attention needs to be given to the labor market participation of older women, single parents, women with a disability, migrant women and women from ethnic minorities. The employment rates of these groups are still relatively low and remaining gender gaps need to be reduced in both quantitative and qualitative terms. DG EMPL proposed a number of initiatives to address these challenges (see Communication from the Commission: Moving Youth into Employment (2012)): Youth Opportunities Initiative (YOI) - a stronger cooperation with Member States for the delivery of action tackling the very high youth unemployment rates; Youth Employment Package (YEP): Youth Guarantee; Quality Framework for Traineeships (QFT); The European Alliance for Apprenticeships - is meant to improve the supply and quality of apprenticeships across the EU as well as to promote national partnerships for dual vocational training systems, building on good practices existing in a number of Member States (e.g. AT, DE, DK); a revised European Job Mobility (EURES) portal, etc. WIL: Which sectors are the most promising in terms of job creation? How can women's potential be effectively used in these areas? VSA: ICT experts are an essential pillar of the modern workforce and the European economy as a whole. However, many open vacancies for ICT practitioners cannot be filled, despite the high level of unemployment in Europe. Forecasts predict that there may be between 400,000 - 800,000 open vacancies for ICT jobs by 2015 if no action is taken. While demand for ICT practitioners is growing by around 3% a year, the number of graduates from computing sciences is actually declining. The European Commission also wants more to be done across Europe to inspire young women to be interested in pursuing ICT careers, since they are currently underrepresented in the industry. Today, around 7 million people work in the information and communication (ICT) sector. However, out of the ICT workforce only 30% are women. Employment structures in EU-27+ are changing. Technicians and associate professionals will be the most important occupational group in 2020 and will account for around 18.1% of total employment. It will also be the fastest growing, as its share of employment is likely to increase by about 1.5% between 2010 and 2020. This group covers highly-skilled occupations such as associate professionals in physical and engineering science, life science and health, teaching, finance and business sectors, as well as public administration (Kriechel, 2012). WIL: Recent OECD data indicates that often skills learned in an academic setting do not correspond to the skills needed in the labor market. How can we bridge the gap between education and work? VSA: EU Education Ministers met on 15th February 2013 to discuss relevant issues concerning education in the context of the 2013 Annual Growth Survey. The conclusions adopted are a response to the Commission communication "Rethinking Education" presented in November 2012 and highlighting priority areas for education and training reform with particular emphasis on improving overall skills and competence levels in order to boost employability and reduce youth unemployment. The recent CEDEFOP demand and supply forecasts show considerable potential for skill mismatch in Europe in 2020. With rapid technological progress and lags in the education and training process, skill imbalances between sectors and in new or emerging occupations are likely to arise. At the same time, micro level skill mismatches are an inevitable consequence of the imperfect nature of the job search process in the labor market. This is likely to lead to a rapid increase in people with high-level qualifications employed in jobs traditionally requiring a lower skill level, certainly in the short term, and a sharp fall in jobs for people with low-level or no qualifications. In addition, an ageing labor force has to keep up with changing skill demands and new technology. Consequently, adult workers will need opportunities not just to retrain, but also to re-qualify for different occupations. Accordingly, policy-makers may need to ensure that improvements in qualification levels are realized and that investment in initial education, continuing training and adult education continues. 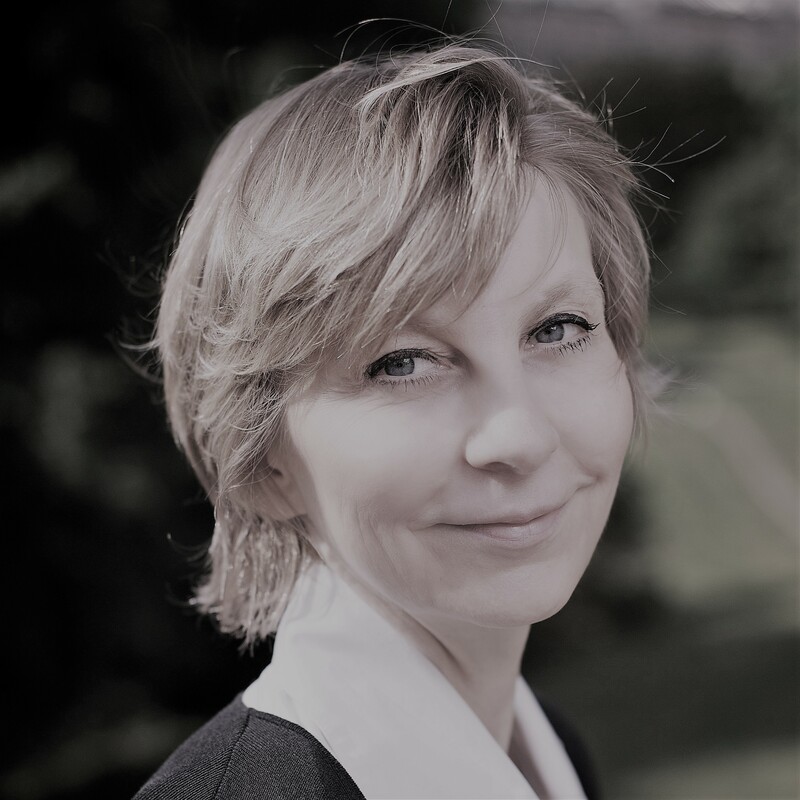 WIL Board member Claudine Schmuck is the founder and Associate Director of Global Contact, which provides management consulting services to CEOs and decision makers focusing on innovation, NTIC and change management. She is also an expert working with the European Commission. European Network for Women in Leadership (WIL): After your Sciences Po studies in Paris, you decided to study marketing at Columbia University in New York. Did your stay in America change your business approach? Claudine Schmuck (CS): As a matter of fact, just after Sciences Po, I joined the Ministry of Foreign Trade and Industry in France, and worked in the cabinet during 4 years. This experience convinced me of the importance of acquiring an “international” experience. I then decided to move abroad. Columbia University was a strong experience, combining intense work with teachings from some remarkable lecturer. Meeting and listening to Zbigniew Brzezinski, an impressive geostrategist and former advisor to the President of the USA, who himself is a Pole born in Warsaw, was a striking illustration of the ‘melting pot’. I then joined McKinsey in New York, meeting personalities such as Richard N. Foster, a powerful thinker of innovation. So overall this American experience enabled me to gain insights on globalization, new technologies, innovation, and sci-tech issues. It also stimulated me to focus on efficiency and result-driven working methods. WIL: Global Contact, the company you created in 1999, has recently launched the 2013 edition of the MutationnellesTM study, to analyze the dynamics of women's empowerment in science, technology, engineering and mathematics (STEM). What factors will you focus on this year? What results are you expecting? CS: I launched MutationnellesTM with the support of Orange 4 years ago, because there is a need for regular, detailed figures on gender issues. For the past 10 years DG Reseach has published the “She report” – a set of detailed data on women in research and science in European countries, but there is no equivalent data on women in high tech, and no equivalent data on women in innovation. Yet facts and figures are needed to understand the issues, and identify solutions.To give an example, it is well-known that in most European countries women are underrepresented in engineering. Yet, what is the use of this data if it is not detailed, if we do not assess what it implies? One of the findings of our survey 4 years ago was that 40% of French young women graduating in engineering chose to specialize in such sectors as agronomy and chemistry, which generated only 15% of recruitments. The result? Young women graduate in engineering do not find jobs as quickly as men, which causes frustration and discourages younger ones from moving towards STEM. Over the past years we have contributed to raise awareness on these issues and fostered actions to better inform young women at an earlier stage. Now we face a different challenge. The need for skilled women in high tech and innovation is growing strong, more CEOs and boards recognize that “women matter”. Yet, less and less young women choose to study STEM and work in sci-tech industries and services. In addition, these sectors are characterized by a high turnover and attrition rate of percentage of women working in those sectors. Both elements contribute to the shortage of skills. So today our challenge is to gather data that will enable us to assess and address these issues. The 2013 online survey is thus focused on benchmarking gender practices, and related levels of satisfaction and fulfillment at work. WIL: What are currently the main barriers for women professionally engaged in STEM? CS: The key obstacles preventing girls from choosing to study STEM and work in those sectors are stereotypes, and lack of information on working opportunities in the sci-tech field. However, it must be understood that this is only true of developed countries. In emerging and/or developing economies girls that have access to schools have a different perspective. Surveys conducted among 15-year-olds show that girls and boys from these countries have an equal interest in STEM, and are equally eager to work in these sectors. WIL: You have been actively involved in various projects aimed at supporting women in STEM, such as a series of Women in IT conferences or the SciTechGirls program. How do you view the impact of such initiatives? What could be done to maximize it? CS: I believe that the most efficient ways to attract and/or support women in STEM are those that open a real dialog. Actions such as the “shadowing” program launched by the European Commission, “speed meetings” between teenagers and role models, or creating connections between mentors and mentees are probably the most likely to build and secure interest of young generation. But to make it work we need a lasting commitment, and a close monitoring of results to measure to which extent the goals are reached. In my opinion the key to success is to constantly improve implementation on the basis of impact measurement. To be more specific, I will focus on the issue of attracting girls to ICT. For the past 10 years, most of the programs have focused on metrics such as the reach, the number of girls attending an event, and their socio-demographic profile. Too few have been centered on assessing and measuring the level of motivation of young girls. What do they think about the event they have attended? Does the role model inspire them? If yes, in which way? So the net results of numerous actions that have been conducted so far have not been good. In France, as in most developed countries today, less and less girls move into ICT. To change this and attempt to get better results we have been harnessing best practices and developed the first experiment for the Women Forum in 2009 with the SciTech girl program which connected 100 girls from various European countries with role models. The evaluation conducted with girls and role models enabled to identify “areas for improvement” and launch the Science Factor the following year. For instance, we identified the need to rely on social networks to engage teenagers more significantly. We also understood that fighting stereotypes would be more efficient if we stopped conducting actions only for girls, and try to involve boys as well. So we were the first in France to launch a program on Facebook for teenagers with the support of the Ministry of Education, and the Ministry of Research. We also focused on developing a process that would reveal and support young girls’ ability to be creative and lead projects. We launched a new type of contest. The Science Factor contest invites teams of teenagers to present a project of innovation and/or invention. But there is a pre-requisite, the team must be led by a girl. She is the one that represents the team before the jury. She is the one that media talk about. She is the new role model for other boys and girls. So far the qualitative evaluations have been positive, and our pilot has now acquired an audience of nearly 8000 fans, 80% of which are 13 to 17 years old with a high retention rate, confirming that we are on target. In my opinion, more than anything else what enables to maximize the impact of such action is to constantly benchmark other practices, constantly evaluate the impact of our actions, monitor results to create and develop the right adjustments. WIL: From the perspective of someone with rich experience in consulting and communications, how do you regard corporate diversity programs? How can they be integrated into the business model to become sources of competitive advantage? CS: To be precise, I have been focusing on how corporate diversity programs integrate gender issues. We have developed metrics on three factors: human resource management (for instance recruitment, mobility, high potential management), work-life balance (such as parental leaves, support to child care, flexibility) and development practices (leadership training, coaching, mentoring). There has been a drastic change in 2012, boosted by the enactment of the July 2011 law by the French government. The 2011 regulation required that corporations sign corporate agreement on gender balance. Hence, by the end of 2012, 90% of the 40 top-rated companies in France had signed an agreement involving some measures on gender equality, reflected by their annual CRS report. The factor which has progressed most importantly last year is the development of policies regarding work-life balance. Some high tech corporations have leveraged this situation to develop comprehensive policies, and are now among the most advanced on this subject in France. This is particularly true of Orange, which excellence on this subject has been recognized and acclaimed by media. Their gender agreement is one of the few that include detailed measures on all three factors (HR, work-life balance, and development), with ambitious goals regarding the percentage of women in the executive committee (35% in 2015). It is also one of the few that specify how implementation is measured with a specific listing and definition of implementation indicators. Last but not least, the agreement also describes in detail the communication campaign aimed at informing all employees within the group. Regarding your question about how such programs can be leveraged to become a source of competitive advantage, I think that it depends on COMEX’s determination to make it work and of course quality of implementation. From this standpoint it seems to me that to make further progress we must demonstrate more clearly the added value of gender balance to top decision makers. Then they will really make it happen. It is true that it has been said that women matter, but it’s not enough. The demonstration of impact must be clearer. In other words, do gender balanced team make a difference? In which way do they contribute to a better performance? How do they sustain a competitive advantage? Is it by better understanding the evolution of consumers (50% of which are women)? Is it by being better at team-building and relying on trust to generate better results? Is it by challenging “hierarchical” work process to attract and retain highly skilled professionals? Is it by relying on new indicators, such as connecting customer satisfaction and retention rate with employee fulfillment? Or is it by being pragmatic and going for less ambitious, more achievable goals? To move forward, women and men that have experienced the added value of gender-balanced teams must demonstrate it. This is actually one the reason for which we have launched the online survey this year. We want to document their achievements, their contributions to performance and innovation. Each single answer matters and I am looking forward to answers from members of Women in Leadership, so that we can indeed make the case. Anne Houtman, Head of the European Commission Representation in Paris, speaks about the value of academic skills, different fields of expertise within the same European institution and some major challenges that today’s Europe faces in the domains of energy policies, economy and public debate. In the course of your career you worked in the academic environment and in the private sector, to finally join the European Commission. What were the main factors that encouraged you to change your area of professional activity? Mathematics was an easy option, it was fun, not too difficult and I loved teaching. But to go far in math, you need passion, a passion that does not allow you to think of anything else when facing a tough problem. And I’m just too eclectic for that. I love architecture, music, politics, literature, food, etc… Marketing research was a choice of curiosity. I learned a lot about business and markets but that world seemed rather limited. Europe was an emotional choice. 6 years in the US and 3 years in the private sector had made it clear I wanted to devote the rest of my career to the European public goal and I’ve never regretted that choice. Even reaching pension age will not stop me from working toward the completion of this exceptional construction. In the European Union there is a lively debate on the value of academic skills for the labor market. You have a doctoral degree from Princeton University. How do you regard this academic experience in the wider perspective of your career? How can such qualifications help people achieve their professional goals? Academic experience is what makes you confident that you will always be able to understand a problem if you think hard enough and to find a piece of information if you look for it hard enough. At the same time, it gave me the humility to realize that I never understand nor know it all. It gave me rigor, curiosity and a taste for intellectual risk taking. It taught me that you should always look outside of the box, that solutions often come from other fields. Since the beginning of your cooperation with the European Commission you have worked as a Deputy Head of Cabinet of President Romano Prodi and in different directorates-general. How have you responded to the challenge of changing fields of expertise within the same institution? What has helped you succeed? We live in a complex world where you need both "vertical" expertise and "horizontal" thinking. Changing fields of expertise is always a risk but as I said, I like it. I like to learn new things and really enjoy finding useful connections between issues, putting things into a broader perspective. The Commission's decisions are collegial and having worked in many different services helps a lot to build consensus around a proposal. It also helps me now in communicating to citizens around a theme rather than along the lines of a single DG. You have been a part of the European Commission since 1985. How has this institution changed in the course of the years, what does this evolution look like from the perspective of a true European Commission insider? Successive enlargements have increased diversity within the institution and changed the use of language from French to English. Just like young citizens now take Europe for granted, many new officials are less motivated by the "construction" aspect of European history than by the more pragmatic "better functioning aspects". The fall of the Santer Commission in 1999 was a turning point and reforms that followed have discouraged many as the administrative burden has drastically increased. There is also less knowledge of the "why" we do certain things. The economic crisis in Europe has been a major challenge to the European Commission and to the whole European Union. What do you believe can strengthen the image of European institutions in the eyes of European citizens? What do you regard as the best remedies for the deficit of trust caused by the economic turmoil? I think there is a huge deficit of information in and education by the media, European nations and local politicians. There should also be a better recognition of the mistakes and misjudgments of the past and at the same time we should not be so shy in explaining what we have built, a socio-economic model that is envied in many parts of the world. As the Head of the EC Representation in France you are in charge of explaining European policies to citizens. Do you think there exists anything we could call a European public opinion? If yes, in what way is it different from national public opinions? Is there any French specificity in this regard that impacts your mission? Such a European public opinion is still at an embryonic stage. The main obstacles are the absence of truly European political parties or media (Euronews is one, but its audience is extremely limited), which in turn is for a large part linked to language barriers. This being said, social partners have started to liaise at European level and mobility, mainly of young Europeans, though programs like Erasmus are positive factors though still too much limited to an elite. In France, there is a lot of ignorance on Europe and language is still too often seen as an obstacle to mobility and access to other cultures. On October 25th, the new Energy Efficiency Directive was adopted by the European Union as a part of its updated energy policy 20/20/20. What are the most important challenges European countries need to overcome to attain EU objectives? How can the development of smart grids help achieve these goals? Among the three 20/20/20 objectives to be reached by 2020, Europe is on track to reach the ones related to CO2 reduction and to the renewable share. We are not on track to reach the objectives of a 20% improvement of our energy efficiency. The new energy efficiency directive should help fill about 2/3rds of the gap. Energy efficiency is a strong priority as it directly contributes to the three objectives of European energy policy: developing competitive, sustainable and secure energy. Smart grids should give a tool to consumers to better monitor their consumption and to operators to manage the network in a more efficient way and improve security of supply. Dunya Bouhacene is an independent private equity investor, Women Equity does not only generate market performance, it is also contributing to a better distribution of roles and economic power in society. To better serve this mission, in 2009 Dunya and her team launched the NGO Women Equity for Growth, which supports the development of a new kind of finance and entrepreneurial models. What is the role of Women Equity? Women Equity provides support to portfolio companies which are either women-led or have a gender balanced management. We are convinced that economic performance combined with social responsibility creates sustainable value for all stakeholders. To increase the visibility of these companies, our work is supported by the Women Equity for Growth not-for-profit platform, which facilitates the work of researchers in this domain, spreads know-how and nourishes a networking platform for women entrepreneurs. What are the main outcomes of the work carried out by Women Equity for Growth? Thanks to the Women Equity Scientific Council, an advisory board made up of 10 leading researchers from the USA, UK, France, Denmark, Italy and Finland, we succeeded in designing the Women-Equity Index, among others. This index is a database which gathers financial data over series of three years, on 40K SMES with revenues ranging from €4mil to €100mil, and having between 20 and 250 employees. Thanks to it, we can measure what we call the ‘over-performance’ of women-led growth companies in France. Given that these companies are much less visible among traditional business networks, it is quite impressive that they can still manage to generate more revenues. The platform plays two other important roles: communication and networking. The work carried is disseminated through a dedicated portal and through a variety of other types of initiatives set out with media partners or other networks. Furthermore, an Advisory Committee comprising directors and well-known executives of large groups from various sectors serves as a valuable resource for the investment team during its due diligence phase and enables the sharing of contacts, expertise and experience among the management teams of our portfolio companies. What differences can you see between women-led and men-led businesses? Differences can be seen in terms of results, which can be better than those of traditional businesses, but also in terms of access to finance, for which women-led businesses may need some extra help. First, Library House – Dow Jones shows that, out of 600 Private Equity backed European companies, those led by women demonstrated higher capital efficiency, requiring 35% less capital to generate 12% more revenues. Our own research on 40,000 French SMEs with revenues above €4mil has shown that the 5,000 women-led companies (Chairpersons and CEOs) were more resilient during the crisis. A majority of them even maintained growth. Moreover, their revenues and their profitability declined less than their sector competitors. Second, access to private equity financing is very limited for these companies. As an illustration, the proportion of private equity backed women-led companies is significantly inferior to the proportion of women-led companies in the economy: they represented less than 4% of small and mid-market transactions in the past ten years. As such, women SMEs private equity gap occurs not because of their attractiveness, but because obstacles still remain in many Western countries, including France. Women-led growth companies are less visible, their leaders are less integrated in traditional business networks, and the prevailing socio-economic models work less in their favour. What solutions do you see to increase investments in these high-growth businesses? There are a number of actions to support these businesses which can be set in motion at different levels. As a tier 1 stakeholder, Women Equity works on two directions. First, we aim at raising awareness among investors re the high performance of enterprises with a higher gender mix. Second, our concerns include developing women’s understanding of and familiarity with private equity. At general public level, it is key to promote success stories to all types of audiences. Each year we cooperate for instance with the French financial newspaper La Tribune for the Women’s Awards with the objective of identifying, selecting, and promoting exceptional female CEOs and executives. Finalists benefit from strong media coverage. The public authorities could also jump in by adopting incentives to encourage the development of socially responsible investment (SRI) funds. Inserting SRI criteria in the asset allocations of public institutions, and notably gender balance assessments, would accelerate the emergence of these new business models. This should be a key concern for governments, particularly in the current economic and financial context. Can you share an example of a women-led company that succeeded through Women Equity? In October 2011, Women Equity Partners announced the closing of the Management Buy-Out of Lefebvre Software in partnership with CIC LBO. Viviane Chaine-Ribeiro took over the management of the company at a crisis time. 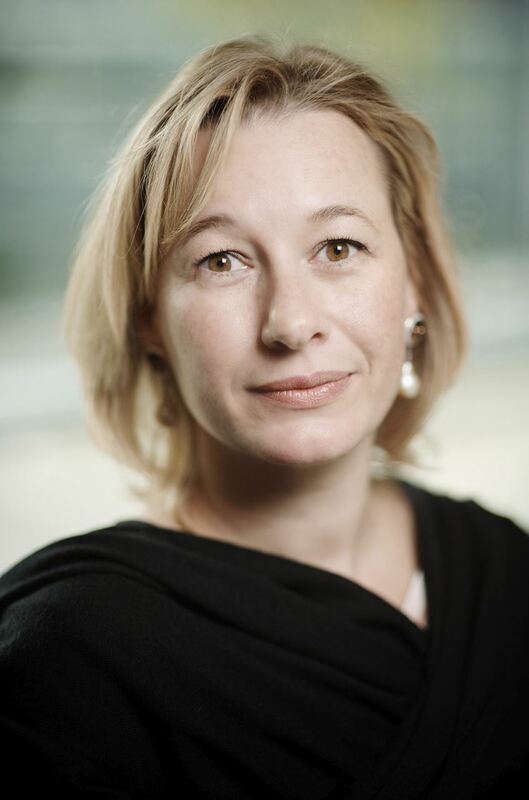 She succeeded in growing revenues, which stood at €16m in 2007, to more than €40m in 2011 and in transforming the company into one of the leading enterprise software providers on the French mid-market. The fruitful partnership between the CEO and shareholders enabled the company to grow faster, with a series of acquisitions being considered, the latest occurring a few months ago. Thanks to the visibility gained through the Women Equity Program, Lefebvre Software is a growing company led by a woman with very high ambitions for 2017. Cristiana Falcone Sorrell’s working and academic experiences are related to international/foreign affairs and media, in particular digital media. She works for the Inter American Development Bank in Washington, which engages in activities contributing to the social, economic and sustainable growth of the region. In the last two years she focused on Latin America, including the emerging trend of south to south trade. On the digital side, a few years ago with the World Economic Forum she participated in a very extensive study on the future of the digital ecosystem, which is the space between information technology, communication and media, looking at how the new players were disrupting the business models. What changes do you see taking place in education with the emergence of new technologies and digital learning? The founder of the World Economic Forum, Professor Schwab, one of the biggest visionaries of this time, asked me and my colleagues to look at ways to leverage knowledge the Forum creates to the benefit of our constituents, but also support our mission of improving the state of the world. The digital revolution allows you to cut the cost of delivery (analogue education is expensive) but also means that new ways of sharing and experiencing learning are available. We have been doing research on traditional academic outlets and have learnt that there is not a lot of information on the topic yet, but everyone is experimenting. Online learning is often about scanning and uploading documents online, which is not interactive. In the meantime, even the everyday learning operation is changing – we have even changed the way in which we read of newspapers. On YouTube for example, there is a video of kids trying to push magazines with their fingers (as if they were touching an Ipad), with a caption saying ‘this magazine is not working’. There is also the new way of learning that has a lot to do with peer-to-peer sharing & experience and teaching & learning. For example, there are educational games offered to children, in which the more questions they answer, the higher score they get. These areas are very compelling and extremely useful if we think of education as crucial for development. Also, imagine the potential of being able to provide knowledge through a mobile rather than a complex computer. Especially since now you don’t need to go to school to ‘learn technology’. How can these new ways of ‘sharing and experiencing learning’ through new technologies be applied? A lot can be done in terms of health and education. New mechanisms can be used to deliver a piece of knowledge, for example about HIV in slums of Kenia; even where you don’t even know the name of the roads, they all have mobiles with GPS. How can education possibilities enabled by the new technologies be embraced by women in particular? Women are much more social; we have a natural potential to use social networks. That’s very important in the new emerging way of learning, both offline and online. I think as we embrace it we need to think of basic education to women where they don’t have access to technology either for economic reasons or because of prejudice. What is your view on responsible business? I like the corporate global citizenship approach. In my experience working with the Inter American Development Bank and travelling with my husband, an international businessman, learning how clients run their businesses, I see that more and more you have to ‘walk the talk’; you have to do good and well at the same time. You can’t just focus on the commercial bottom line; you have to do it in the right, proper way. Responsible consumption is emerging not only in developed countries, you see it even more in emerging markets where the community is still at the center. Businesses’ core values need to be values that consumers can trust - they need to see consistency in the way business is run. We saw it in the banking industry, the consumer goods industry, the food industry… As a result of an increased awareness, when I have to choose from two products, I choose the one makes me feel good; it feels good to have a good impact on your society, environment or even economy. 21st century is not only about social responsibility as in social marketing or sustainable development; you really have to act responsibly and make it the core of your business. It gives you an edge and allows you to enter new markets you were not able to enter before. There two principles I use, I took them from two amazing women. The first of them has been using the concept of ‘average’; you cannot play all of the roles every day, it’s impossible. During a week/month you play each role at a certain percentage. One day I’m more of a business woman than a wife, another day more of grandmother or a daughter… I do the basic, but in terms of commitment I try to average. The second idea I took from an Indian lady, who introduced me to the principle of becoming a clever juggler. In life, we joggle crystal balls and rubber balls; a lot of them, as women. These balls constitute different roles. We need to understand every day which ones can we drop, because they’re rubber and will bounce back, and which ones are crystal and we can never let go, because they can crush. Family is one of these crystal balls. 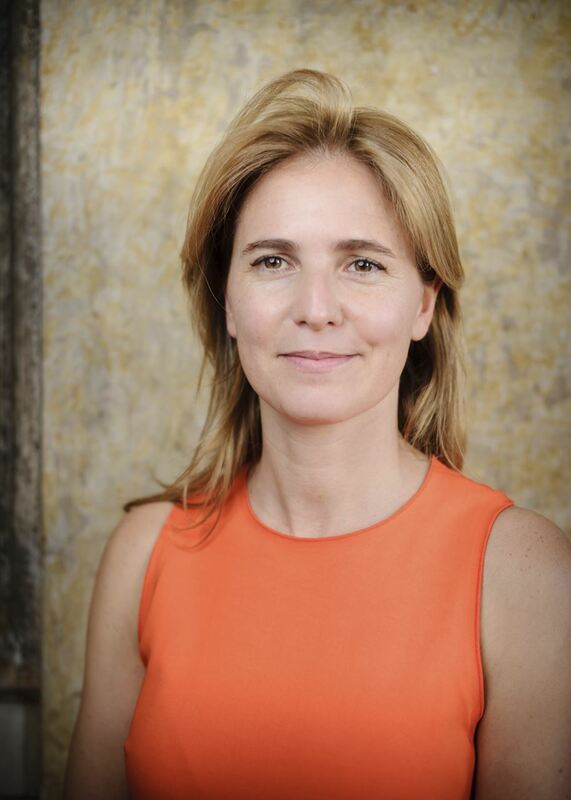 Paloma Castro Martinez is Director of Global Corporate Affairs for LVMH Moët Hennessy Louis Vuitton. Mrs. Castro Martinez brings extensive Corporate Affairs knowledge and experience to the Group. 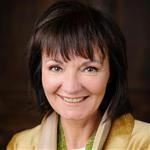 She previously led Richemont Group’s Global Government Affairs Department and throughout her career, developed the Regulatory, Communications and Public Affairs departments of some of the most relevant worldwide corporations. As the Director of Global Corporate Affairs for LVMH, you are responsible for relations with the Group's various stakeholders. What actions does LVMH take to strengthen its dialogue and presence in civil society? LVMH’s presence in civil society is based on its legacy, creativity and entrepreneurship, as well as its strong involvement in culture and art. It is a socially responsible company with a strong cultural footprint. We are a cultural and creative entrepreneur. At the end of last year Commission President Barosso spoke about how creativity and innovation can drive Europe back towards growth and prosperity. We feel that we have a strong role to play in this and that our business model reflects well the global challenges that Europe has to face. LVMH is ‘cultural and creative’, drawing inspiration from heritage and culture and using creativity and innovation to develop a competitive and successful business model. We see it as an illustration that culture is an engine for growth – a driving force for wealth and jobs. In fact, last year we created 14000 jobs. We are strong believers in investing back in culture in its broadest sense, sponsoring exhibitions and contributing to restorations (e.g. restoration of the Library Museum of the Palais Garnier and the renovation of the Palais Royal gardens). We are building in collaboration with Frank Gehry a spectacular building, from an engineering and architectural point of view, the LVMH Foundation in Paris. The foundation will become the Center of our cultural footprint worldwide. Again, this time, we are trying to allow for the creativity of an architect to thrive as far as possible, even, if some of his ideas had never been experimented before. Creativity s at the heart of everything we do from the innovation developed by our Perfumers to the design of a new bag. LVMH is also very dedicated to helping the encouragement of new generations of artists and creative people, with some our latest commitments linked to the support of top British fashion college Central St. Martin's or the creation of the LVMH digital award at the photography and fashion festival of Hyeres. We are very interested in everything that has to do with society and it's evolution. In two recent surveys, LVMH has been named ‘the most attractive employer’, having ranked number one in Trendence’s list for the third consecutive year. What makes the work environment of LVMH so attractive? Working for LVMH and its Maisons gives one a sense of pride. The company not only produces carefully crafted items in different European countries and exports them throughout the world but also stands for ‘good news in the middle of bad news’, proving that it is possible to be successful despite the current economic situation. Our interest in vocational education, in keeping alive the heritage to bring it to modern times, through the use of technology allowing us to innovate and be creative, investing in local jobs across Europe with the opening of manufactures and the hiring of senior employees are all part of this successful business model. And it translates into the strong belief by a majority of European citizens (73%) being convinced that we have a role in keeping city centers alive and being part of their societal environment. The future of heritage, we call it. What advice would you give to women at the beginning of their careers? Be yourself and never give up on your objectives. Never stop learning. Never say no to any opportunities. Never say no to learning. Go the extra mile and focus on delivering at the bottom line. Take everything as an opportunity - it will become precious. I started my career working at McDonald’s, where I was negotiating with Greenpeace, worked on childhood obesity campaigns and completely changed McD’s food labeling around the world. I then worked for eBay, which approached me specifically because of the thinking out of the box I’ve gained working at McDonald's. Never take for granted how difficult it will be when you have a managerial position. If you’re ambitious, it can be the right path for you, but it’s not for everyone. It’s about knowing yourself. LVMH has signed on July 12, 2011 the “Women on the Board Pledge for Europe” and committed to increase women’s corporate boardroom presence to 30 per cent by 2012 and 40 per cent by 2020, showing support of Commissioner Reding’s approach to self-regulation for gender equality. How do you believe is the group going to benefit from having more women on boards? The issue is not as simple as that. It’s not necessarily just about women’s boardroom presence. It is more relevant to have role models at all levels, who encourage people within the ranks. What we should advocate for is balance – more women means more balance. In house, we believe that a balance in terms of gender, religion, etc... brings open-mindedness, more influence, and, it naturally translates into business benefits. 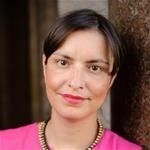 Elena Bonfiglioli is Senior Director Health Industry in EMEA and one of the co-founders of the Women in Leadership Network. She also leads the network's Women Talent Pool Programme (WTP). In this interview she talks about her recent career transition at Microsoft and she shares her vision of the WTP. You recently changed position, can you describe your current role? I recently took the lead of Microsoft’s Health Industry business in Europe, Middle East and Africa. I began my career with Microsoft 9 years ago; this includes the role as Director of Community Affairs and CSR EMEA, Director of Corporate Citizenship and Corporate Affairs with a focus on supporting our business teams on Education, Skills & Employability, and over the past two years on the health industry. After 9 years at Microsoft as an ambassador around societal topics, the transition to a pure business development and industry strategy job looked like a real challenge. I was scared for a moment, but then I realized that my body and my brain needed a stretch goal to learn, unlearn and re-learn. I needed a new challenge to develop further. When I look at the Health and Wellbeing sector, I see potential for innovation, sustained market growth and opportunity to deliver societal benefit through technology. In a way, health combines three of my passions: creativity, business and care. I could not pass this unique opportunity. How did you manage the challenge of transitioning to a career in a completely different area? What really made the difference for me was getting the support from an executive with an open mind. He was willing to take the risk of giving me a stretched assignment based on the potential and not strictly checking boxes for a complete track record of expertise in all competencies needed for the new role. I am and will be forever grateful that we have leaders who can reward talents and invest in the future of people. Seeing the long term potential of their leaders and nurturing talent is the way organizations become sustainable and innovative. In this case, it was a male leader with a bold vision that diversity in his team mattered. What made you decide to spearhead the Women Talent Pool Programme? We can make a bigger difference tomorrow if we harness the potential todays’ emerging leaders. Why is key to invest in talents earlier rather than later? For three reasons: first, the ability to identify and name “success” early on is key to accelerate talents’ development. Second, the ability to bring talents together will generate a virtuous learning circle whereby talents can learn from one another. Finally, the possibility to offer holistic development opportunities allows talents to push their knowledge comfort zone and learn new things, make new connections and break down silos of specialization. The WTP is set to identify, nurture and develop the pool of tomorrows’ talented women. It starts today with identifying emerging leaders around us. In what ways are the Women Talent Pool participants going to benefit from the programme? Women participating in the WTP (Women Talent Pool) will benefit through networking and sharing ideas with emerging like-minded leaders and talents. They will have an opportunity to learn from role models, thus engaging with senior women to discuss future career paths, work experiences, leadership issues, business topics, as well as talk about their aspirations and ambitions. Most importantly, participants will learn by sharing personal perspectives and discussing how to set the foundations for new models of leadership. What are you referring to when you talk about New Models versus Role Models? Senior members of WIL have carved their own models of leadership. Today they serve as role models to younger women. However, as we think of tomorrow, I encourage each participant to take these learnings as a building block to creating new models of leadership. These new models need to be shaped by adapting these models to the fast changing world we live in, in which balancing personal and professional life and ambitions becomes increasingly important. I personally hope that members of the Talent Pool will create a legacy for the new generation of women leaders to come, thereby crafting new models adapted to how leadership will be employed in the decades ahead. I see an opportunity for them to take the lead in defining the path of what success looks like in their personal and professional careers, what type of leadership is needed in society at an organizational level and individual level. At times do we have to manage conflicting roles? We sure do. By definition we have many different roles: we’re individuals, mothers, professionals, and contributors to the community, to the society... Happiness for me is about optimizing all these roles. Interestingly enough for me, that balance was developed through time; as I matured as a person I was able to take a step back and look at things in perspective. Several WiL members exemplify a fair balance in managing different roles embodying a holistic view of leadership. I do hope that the future generation embraces the versatility of roles and gives it new colors. What piece of advice would you like to give to the Emerging Leaders? Be sure that you are really happy with what you do. Surround yourself with people that exude inner satisfaction and deep inner happiness. These people emanate a state of radiance, peace, balance and most importantly a sense of Presence – for those of you who read Peter Senge’s book; a happy leader is somebody who can exercise great influence. There is a great quote from a writer from a few centuries back: “In the pursuit of relevance we become relevant”. I believe that in the pursuit of happiness we become happier. What is important is to take the opportunities presented in our jobs, our daily lives, the way we interact and treat others, and most importantly it is to capitalize on the potential that is around us and our own potential. With a good amount of luck, we can shape the opportunities around us. I hope Emerging Leaders never forget, even when tough times come our way, that we are still the shapers of our career and our own development.